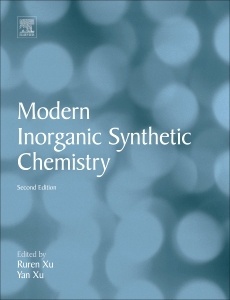 Modern Inorganic Synthetic Chemistry, Second Edition captures, in five distinct sections, the latest advancements in inorganic synthetic chemistry, providing materials chemists, chemical engineers, and materials scientists with a valuable reference source to help them advance their research efforts and achieve breakthroughs. Section one includes six chapters centering on synthetic chemistry under specific conditions, such as high-temperature, low-temperature and cryogenic, hydrothermal and solvothermal, high-pressure, photochemical and fusion conditions. Section two focuses on the synthesis and related chemistry problems of highly distinct categories of inorganic compounds, including superheavy elements, coordination compounds and coordination polymers, cluster compounds, organometallic compounds, inorganic polymers, and nonstoichiometric compounds. Section three elaborates on the synthetic chemistry of five important classes of inorganic functional materials, namely, ordered porous materials, carbon materials, advanced ceramic materials, host-guest materials, and hierarchically structured materials. Section four consists of four chapters where the synthesis of functional inorganic aggregates is discussed, giving special attention to the growth of single crystals, assembly of nanomaterials, and preparation of amorphous materials and membranes. The new edition?s biggest highlight is Section five where the frontier in inorganic synthetic chemistry is reviewed by focusing on biomimetic synthesis and rationally designed synthesis. Ruren Xu is a Professor of Chemistry at Jilin University, China. He is a leading personality in international material sciences and zeolite community. His work on the extra large-pore microporous aluminophosphate JDF-20 is a classical illustration of his innovative work. He is currently working on the formation mechanism and rational synthesis of zeolites and microporous materials. He was elected a member of the Chinese Academy of Sciences in 1991 and a fellow of TWAS in 2003. He has published more than 500 peer-reviewed papers and 10 books, including recently published “Chemistry of Zeolites and Related Porous Materials: Synthesis and Structure and “Modern Inorganic Synthetic Chemistry.